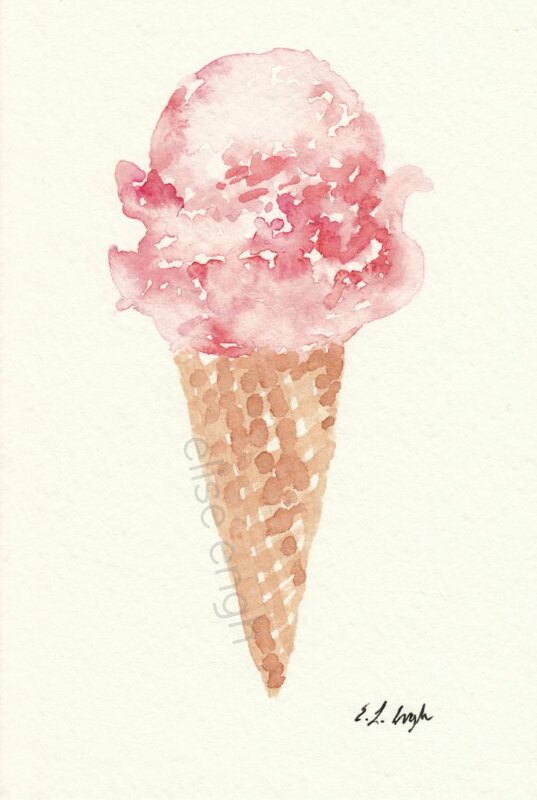 Elise Engh Studios: Who Wants Ice Cream? With summer coming to an end, lets give one last hoorah for ice cream! This is honestly one of my favorite watercolors. It's tiny - 4 x 6 inches, but it was so much fun to paint. I want to do more of these for sure! 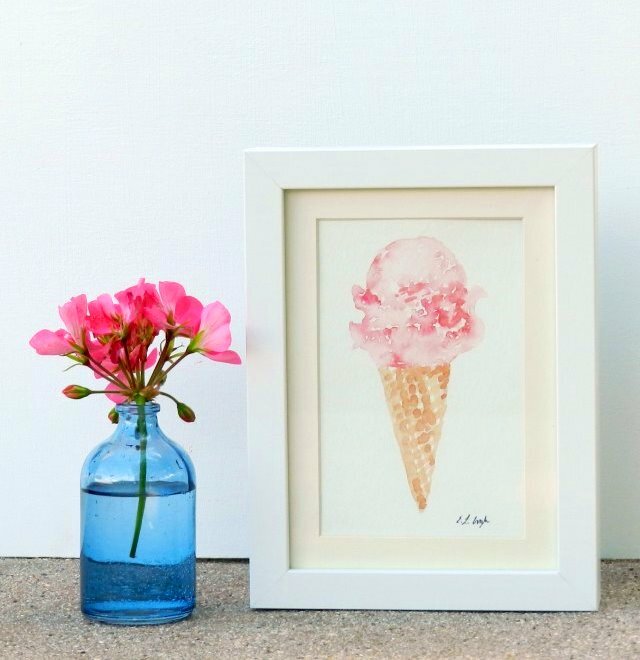 Ice cream and sorbets! Having a studio kitchen the size of a teaspoon they are just about the only dessert I ever make. Tomorrow I make one last pluot sorbet with the last of what was a bumper crop. Lovely summer slowly fading...Apples come next, vanilla apple pie swirl ice cream has been dancing around, as well as apple cider sorbet. Your watercolour is yummy. Thanks Laurie.... you're making me hungry! Cute! Spencer thinks it's strawberry flavored - is he right?! Looks so soft, love it! I love how you paint!